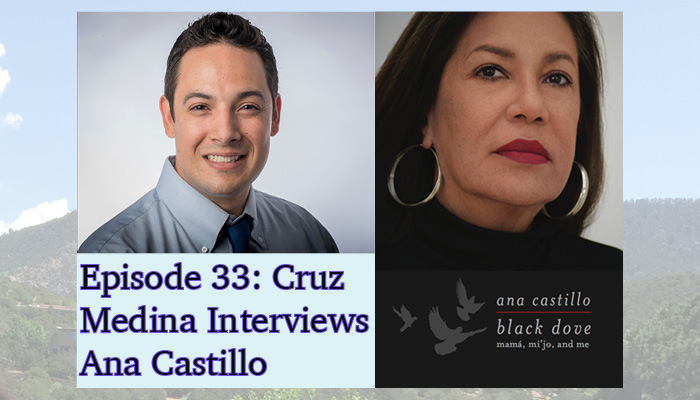 As a writer, Ana Castillo’s work is the art that identifies subject matter before those of us who are academics and scholars are able to apply lenses or qualify and quantify these rich sites of inquiry. And this is so important because there are still folks doing research on Latinas/os who bring in very little or no Latina/o scholarship, reaffirming what Jacqueline Jones Royster said in “When the First Voice You Hear Is Not Your Own,” that we are once again told that Columbus discovered America. We have to think about the people we have marginalized and disenfranchised most—and everybody in society at some point or another is. So it’s a fallacy to think that we have democracy and that everybody has the same opportunity. But, in terms of patriarchy, you know, women for eons have been kept in a secondary place. In terms of race issues in this country, which is only over 200 years old, but if we include the Americas, we’re talking about the conquest of Mexico and Peru and so on, so over half a millennium ago, here, of colonialism here. If we talk about other places in the world, it’s been going on for a very, very long time. Twenty or thirty years is just a drop in the bucket as far as some of the things that we’re addressing. Read the transcript, or listen to the episode below. Featuring music from Blue Dot Sessions.